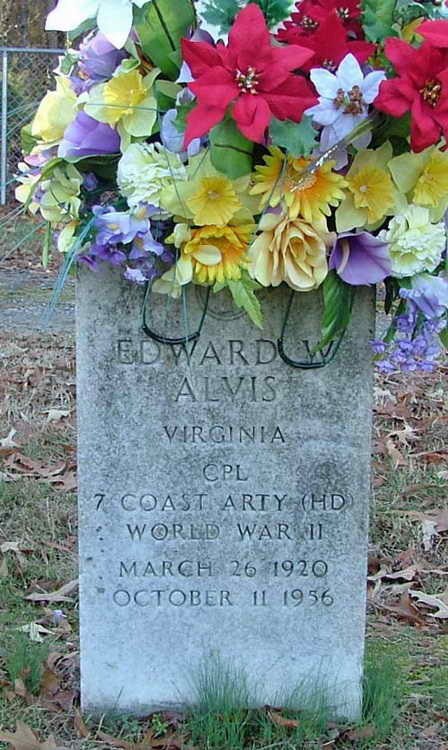 Grave marker application and resulting marker for Edward W. Alvis in Woodland Cemetery, Ashland (Hanover county), Virginia. 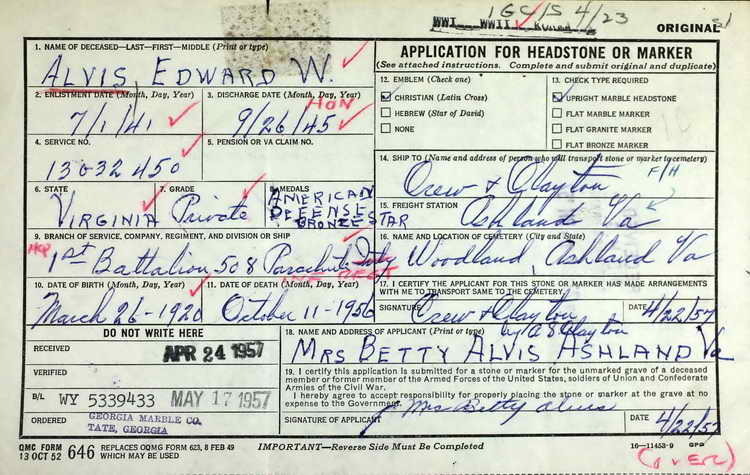 Edward enlisted in the Army at Richmond, VA on 1 February 1941 with an Coast Artillery Corps designation which may account for the headstone inscription: of "Cpl - 7 Coast Arty (HD) - World War II"
As the headstone application shows, he was a member of the 508th. On 23 April 1945 Pvt Alvis was transferred from the 51st Reinforcement Battalion to Hq 1st, 508th. He was transferred to the 13th Airborne Division on 31 May 1945. Whether he was promoted to Corporal there or subsequently rejoined an artillery group is unknown.